Of aristocratic descent, and educated at the college of the "Fathers of the Faith" (Pères de la Foi), Du Prat - such was the name of his family - imbibed in his youth principles very different from those of his great literary contemporary Michelet. Happily nature seems to have his mother with a rare refinement and humaneness of feeling; and from her example and instruction he derived, apparently, the germs of those loftier ideas which, in maturer age, characterise a great part of his writings. While the first Napoleon was still emperor, he entered the army, from which he soon retired to employ his leisure in the more congenial amusement of travel. In 1820 he first cam before the world as the author of Meditations Poétiques, of which, within four years, 45,000 copies were sold, and the new poet was eagerly welcomed by the party of Reaction, who thought to find in him a future successor to the brilliant author of Génie du Christianisme, the literary hope of their party, and the champion of the Church and royalty - the political counterbalance to Béranger, the poet of the Revolution - for Hugo had not yet raised the standard of revolt. yet this remarkable volume with the greatest difficulty found its way into print. "A young man, [writes one of his biographers] his health scarcely re-established from a cruel malady, his face pale with suffering and covered with a veil of sadness, through which could be read the recent loss of an adored being, went about from publisher to publisher, carrying a small packet of verses dyed with tears. Everywhere the poetry and the poet were politely bowed out. At length a bookseller, better advised, or seduced by the infinite grace of the young poet, decided to accept the manuscript so often rejected." It was published without a name and without recommendation. The melancholy beauty of the style, and the melody of the rhythm, could not fail to attract sympathy from readers of taste and feeling, even from those opposed to his political prejudices - "A rhythm of a celestial melody, verse supple, cadenced, and sonorous, which softly vibrates as an Æolian harp sighing in the evening breeze." Its political, rather than its poetical, recommendations, we may presume, gained for the writer from the Government of Louis XVIII, a diplomatic post at Florence, which he held until the dynastic revolution of 1830. For some short time he acted as secretary to the French Embassy in London, and during his stay in England he made the acquaintance of a rich Englishwoman, whom he afterwards married at Florence. A legacy of valuable property from an uncle, upon the condition of his assuming the name of Lamartine , still further enriched him. It is hardly necessary to record that The Fall of an Angel was far from receiving, from the world of fashion, the applause of his earlier and more conventional productions. 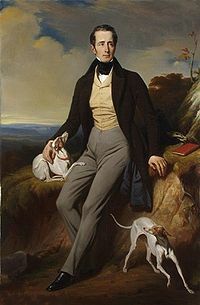 Lamartine was still in the East (we refer to an earlier period), when news of his election to the Chambre des Députés by a Legitimist constituency brought him back to Paris. Among the prominent political leaders of the day he figured "as a progressive Conservative, strongly blending reverence for the antique with a kind of philosophical democracy. He spoke frequently on social and philanthropic questions." In 1838 he became deputy for macon, his native town. During the Orleanist régime he refused to hold office, professing aversion for the "vulgar utility" of the government of Guizot and the Bourgeois King, and in 1845 he joined the Liberal opposition. His Histoire des Girondins (1847) probably contributed to the expulsion of the Orleanist dynasty in the next year. "Physically, it was derived (découlait) in a large measure from Pythagoras and from Emile. Thus, it was based upon the greatest simplicity of dress and the most rigorous frugality with regard to food. My mother was convinced, as I myself am, that killing animals for the sake of nourishment from their flesh and blood, is one of the infirmities of our human condition ; that it is one of those curses imposed upon man either by his fall, or by the obduracy of his own perversity. She believed, as I do still, that the habit of hardening the heart towards the most gentle animals, our companions, our helpmates, our brothers in toil and even in affection, on this earth ; that the slaughtering, the appetite for blood, the sight of quivering flesh, are the very things to have the effect (sont faits pour) to brutalize and harden the instincts of the heart. She believed, as I do still, that such nourishment, although, apparently, much more succulent and more active (énergique), contains within itself irritating and putrid principles which embitter the food and shorten the days of man. "To support of these ideas, she would instance the numberless refined and pious people of India who abstain from everything that has had life, and the hardy, robust pastoral race, and even of the labouring population of our fields, who work the hardest, live the longest and most simply, and who do not eat meat ten times in their lives. She never allowed me to eat it until I was thrown into the rough-and-tumble (pêle-mêle) life of the public schools. To wean me from the liking for it she used no arguments, but availed herself of that instinct in us, which reasons better than logic. I had a lamb which a peasant of Milly had given me, and which I trained to follow me everywhere, like the most attached and faithful dog. We loved each other with that first love (première passion) which children and young animals naturally have for each other. One day the cook said to my mother in my presence "Madam, the lamb is fat, and the butcher bas come for it; must I give it to him?" I screamed and threw myself on the lamb, asking what the butcher would do with it, and what was a butcher. The cook replied that he was a man who gained his living by killing lambs, sheep, calves, and cows. I could not believe it. I besought my mother and readily obtained mercy for my favourite. A few days afterwards my mother took me with her to the town, and led me, as by chance, through the shambles. There I saw some men, with bare and bloodstained arms felling a bullock. Others were killing calves and sheep and cutting of their still palpitating limbs. Streams of blood smoked here and there along the pavement. I was seized with a profound pity, mingled with horror, and asked to be taken away. The idea of these horrible and repulsive scenes, the necessary preliminaries of the dishes I saw served at table, made me hold animal food in disgust, and butchers in horror. "I see [he exclaimed] men who, alarmed by the repeated shocks of our political commotions, await from providence a social revolution, and look around them for some man, a philosopher, to arise - a doctrine which shall come to take violent possession of the government of minds (une doctrine qui vienne s'emparer violemment du gouvernement des esprits), and reinvigorate the staggered (ébranlé) world. They hope, they invoke, they look for this power, which shall impose itself by inherent right (de son plein droit) as the Arbitrator and Supreme Ruler of the Future." La Chute d'un Ange. Hautième Vision. Les Confidences, par Alphones de Lamartine, Paris, 1849-51, quoted in Dietetic Reformer, August, 1881. It is in this book too, that he commemorates some of the many atrocities perpetrated by schoolboys with impunity, or even with the connivance of their master, for their amusement, upon the helpless victims of their unchecked cruelty of disposition. The question of kreophagy and anti-kreophagy had already been mooted, it appears, in the Institut, at the period of the great Revolution of 1789, as a legitimate consequence of the apparent general awakening of the human conscience, when slavery was also first publicly denounced. What was the result of the first raising of this question in the French Chamber of Savans does not appear, but, as Gleizes remarks, we may easily divine it. One interesting fact was published by the discussion in the Deputies Chamber - viz. that in the year 1817, in Paris, the consumption of flesh was less than that of the year 1780 by 40,000,000lb., in proportion to the population (see Gleizes, Thalysie, Quatrième Discours), a fact which can only mean that the rich, who support the butchers, had been forced by reduced means to live less carnivorously. Les Confidences: Confidential Disclosures (PDF 8mb) by Alphonse de Lamartine (1790-1869) 1857 edition. p.60: 'to kill animals for the purpose of feeding on their flesh is one of the most deplorable and shameful infirmities of the human state'.